Robert H. Eichenberger is a director in the firm and chair of the intellectual property practice group. Mr. Eichenberger focuses his practice on patent prosecution, patent licensing and patent litigation matters. The registered patent attorney has litigated several high profile cases and provided counsel to major corporations, including a number of Fortune 500 companies, in the medical devices, artificial turf, heavy machinery, farm equipment, lawn care equipment, and extraterrestrial space hardware industries. In addition to arguing Markman hearings, Mr. Eichenberger has argued cases before the Patent Trial and Appeal Board as well as the Federal Circuit Court of Appeals. He also represented an individual inventor in a two-week patent infringement jury trial in the Southern District of New York. 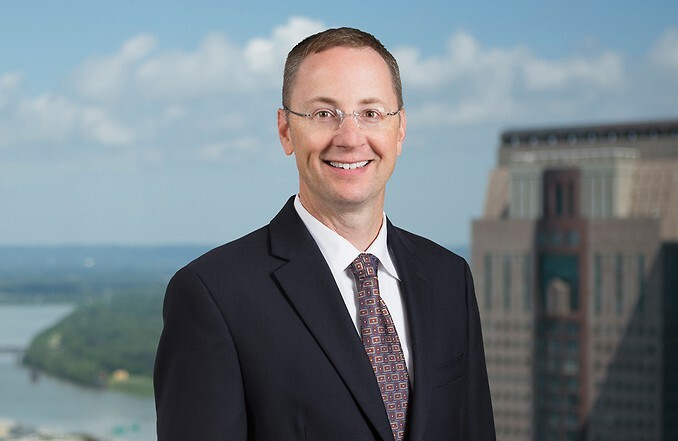 Mr. Eichenberger has represented clients in numerous M&A transactions, license negotiations, joint ventures, and business transactions involving patented and other intellectual property. During law school Mr. Eichenberger was employed as an engineering consultant for a plaintiff’s law firm focusing on vehicle dynamic safety and rollover stability. Prior to law school he worked as a co-op engineer for a U.S.-based global oil company in the terminal storage and service station divisions. Mr. Eichenberger supervised many construction projects and provided engineering services in a broad range of areas, including injection-delivery systems, new service station construction, underground storage tank removals, and site development. Mr. Eichenberger is a member of Tau Beta Pi National Engineering Honor Society and Chi Epsilon National Civil Engineering Honor Society. He is also a member of the American Intellectual Property Law Association, American Bar Association, Indiana State Bar Association, and Kentucky Bar Association.